Auto Roadside Assistance | Auto Advantage Inc. – Great Return of Investment! If you think that you do not need a road assistance program for you car, think again. You are no Superman who can lift his car and reach home without even breaking a sweat. If you’re a regular Joe, then you will sometimes get stuck up in situations when you need some one else to help you out. At times like those, road assistance programs will prove a benefit for you. 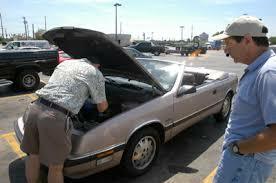 It does not cost much to get a road assistance service and the pay back is huge. The road service assistance program provides you 24-hour coverage and all that included in a yearly package. Thus you do not have to worry for paying them on every call. Apart from providing instant services, these road service providers have linked with some good mechanics, which can service your car as well. It is a win-win situation for you. So, next time when you are in trouble on the road think about getting a road service assistance program, better yet, get it before something happens!